Heavy weapons like this shoulder-launched multipurpose assault weapon deliver a powerful blast to the shooter's head. 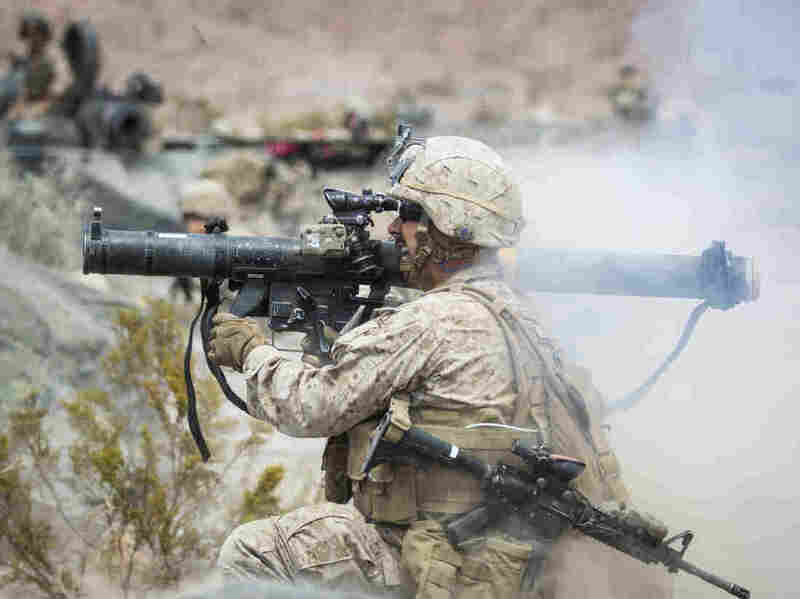 Daniel, a Marine Corps veteran, used to fire a rocket launcher called the shoulder-launched multipurpose assault weapon. Two decades later, he still experiences dizzy spells and disorientation. But the Department of Veterans Affairs doesn't have a category for vets like him, who may have sustained traumatic brain injuries from training rather than combat. Read Daniel's full story on NPR's health blog, Shots.